Bruges is a quaint medieval city encapsulated with a full circle canal. Quite similar to Amsterdam in many ways, but with more charm and history in my opinion. On the large cobbled market square many horse and carts can be found racing punters around the sights. Not to mention the tall bell tower and colourful gingerbread-like houses really made us feel like we had been transported back to medieval times. 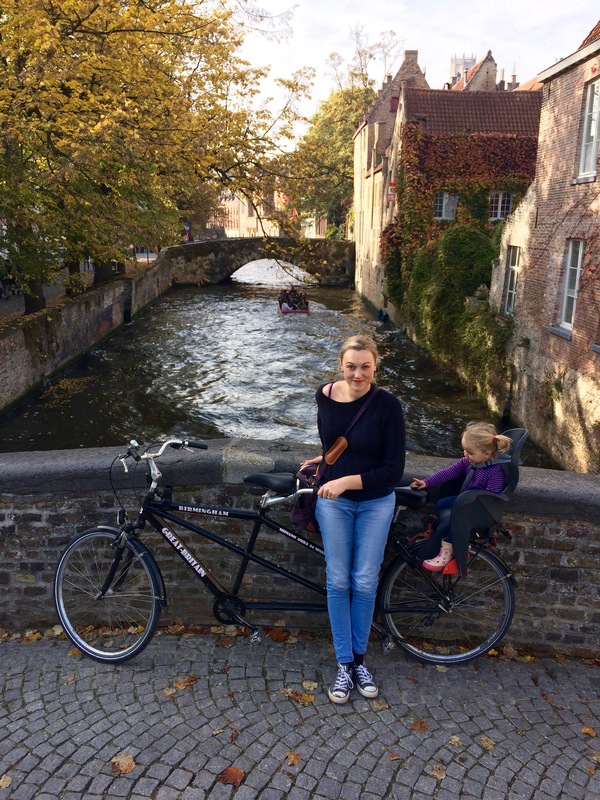 There are bundles of activities from chocolate indulging to tandem biking which makes a weekend in Bruges with kids lots of fun. We booked our trip with SuperBreak. They offer a combined package of the Eurostar train and hotel in Bruges. I am always in favour of making travel as easy as possible with Esmé, hence I will exhaust all avenues of using the Eurostar from London to European cities. It’s just so much easier to take a train than lugging a toddler through an airport. However it is important to note if you are travelling to Bruges you must change in Brussels. The main train station in Bruges is just a fifteen minute walk from the centre. In my usual format of eat, sleep and play here is the load down on Bruges with kids. Learn more about the history of the city in this post about Hanseatic League Cities. 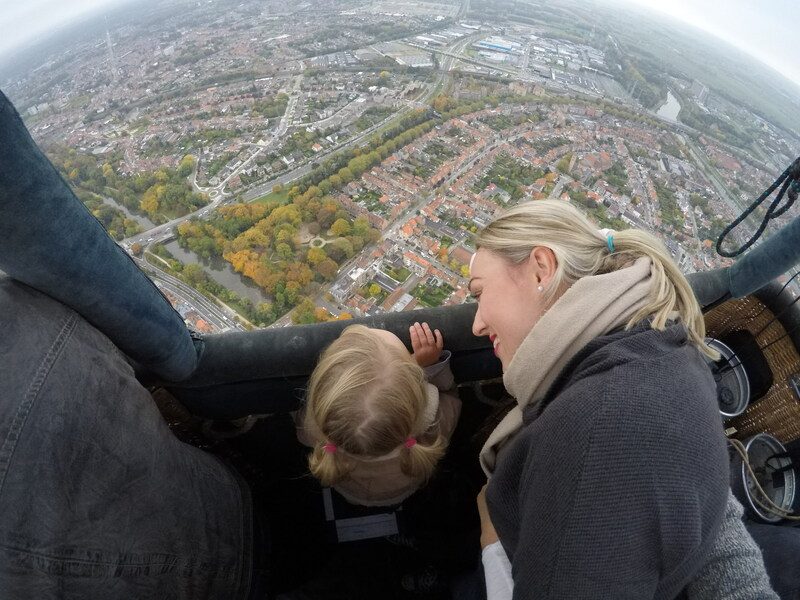 Bruges is full of great things to do with kids! 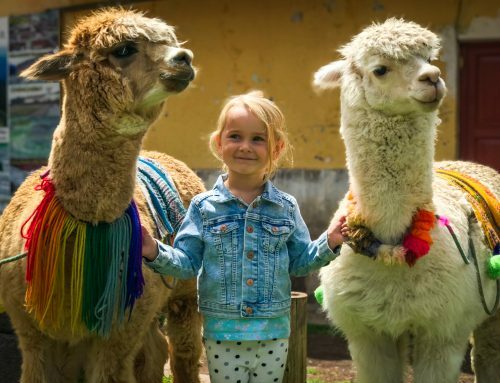 From sweet treats to pretty houses a taste of the great outdoors you’ll find there’s no shortage of options for things to do in Bruges with kids. See the Play section below for more details. It is well known fact that Belgium has some of the best chocolate in the world, so even if you have only got 24 hours to visit Bruges, you should try it! 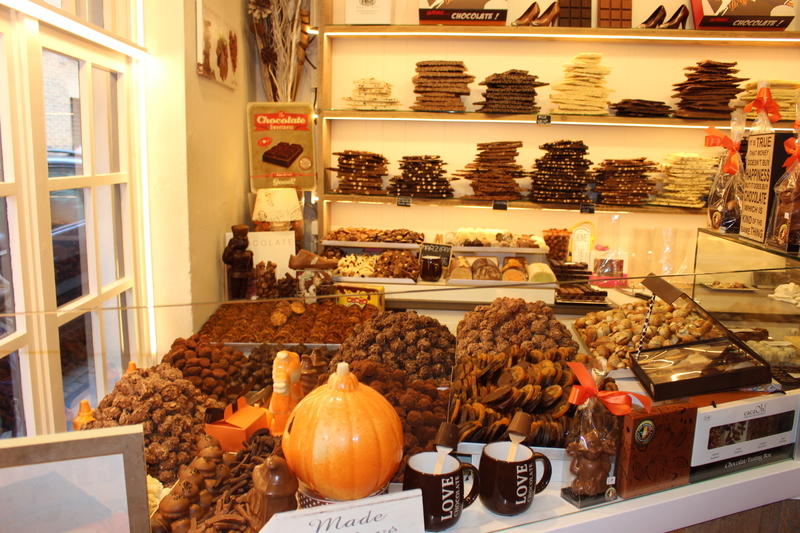 There is certainly no shortage of chocolatiers in Bruges. Literally every second shop in the centre is an unusual establishment with an array of handmade chocolates that make your mouth water. Some even have fountains in action and there is a chocolate museum in Bruges which is a great place to visit with kids. During our weekend in Bruges we had a very moody toddler one day on our trip, so we treated ourselves to some freshly made Belgian waffles in our hotel room with cartoons. I can highly recommend Lizzie’s Wafels just off the main market square. They do ginormous waffles. In reality we just needed one for the three of us. They also do really yummy hot chocolates. AKA mussels and chips is a popular Belgian main dish. Mussels are usually served in a big pot soaking in a flavoursome broth. Chips can be dunked in, its the perfect accompaniment. Belgians also lay claim to inventing ‘frites’. In honesty I can’t say they were the best chips I have ever had in my life but good all the same. Much to Travel Mad Dad‘s delight Bruges is also very popular with beer lovers. It is possible to take a full beer tour, however if you are in Bruges with kids, that’s probably not viable. We opted for a well-reviewed beer tasting cafe called ‘t Brugsch Bieratelier. You can get a taste of three beers of your choice for 8 euros. Beware some are as strong as 8% so three is plenty for light weights! There are plenty of charming and We stayed at Hotel Navarra just off the main square. 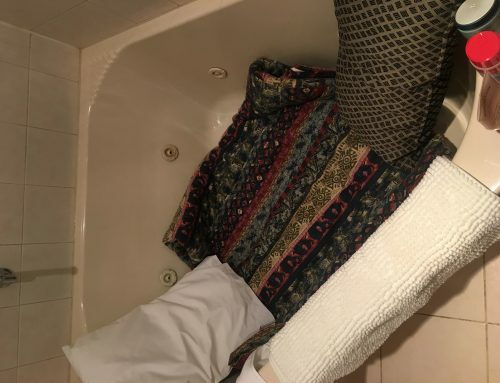 It was in a great location with everything just steps away from the front door. The hotel is four stars and the family rooms are really big with plenty of space to park the buggy up or for a toddler to run around. I just loved the swimming pool in the basement. It was like a cave and was lit up with load of colourful lights. Having a swimming pool is always a big plus for us as it’s one of Esmé’s favourite activities. The hotel is set on a quiet street which makes for a good night sleep. The breakfast was perfect with an array of warm foods, croissants, fresh breads and fruits. 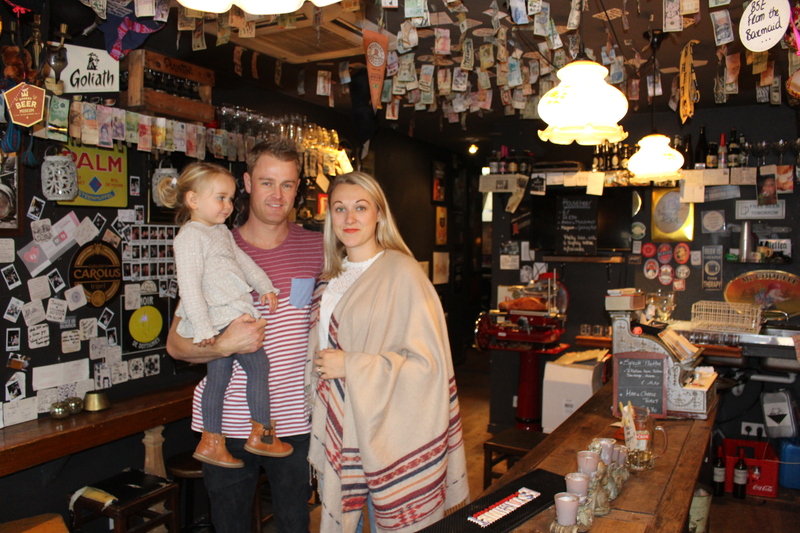 The coffee was great and they were really accommodating and helpful with Esmé’s needs. 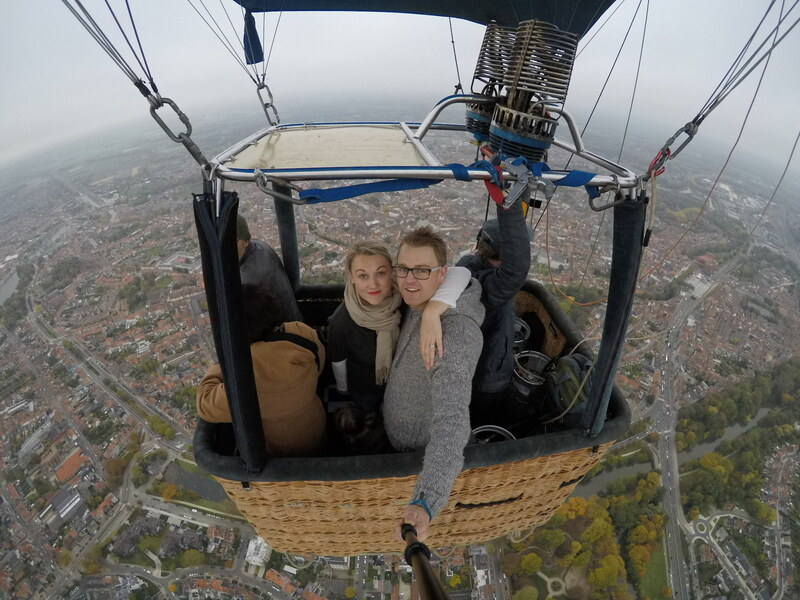 We went on the Bruges-Ballooning tour on our first day with owner Christophe. What a way to kick off our weekend, it was truly amazing. We were picked up from our hotel and brought to our take-off spot. We all got involved with the process of making up the balloon. It was educational and enjoyable to say the least. They were really accommodating of Esmé on board providing her with a little platform so she was just tall enough to see over the edge. He took us all around Bruges flying at different heights for different perspectives. 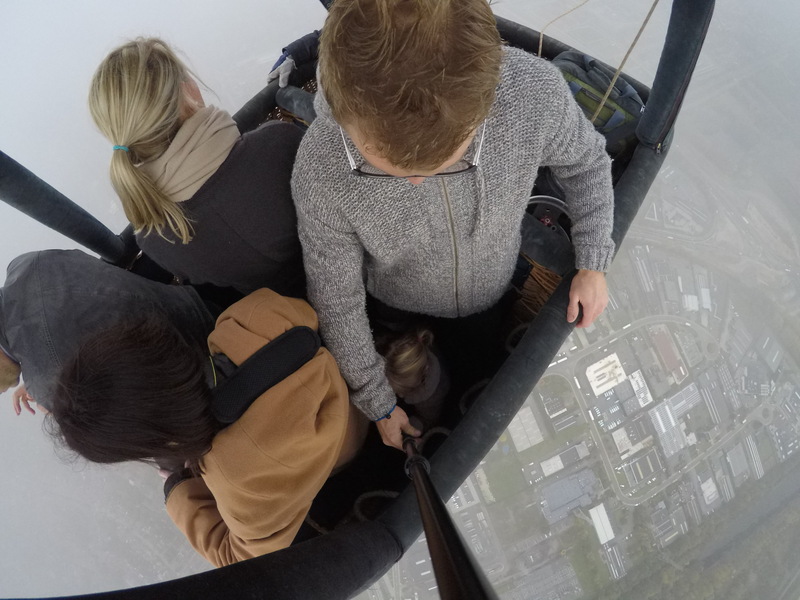 My favourite was when we were literally above the clouds. Esmé got so much out of it naming everything she could see below. At the end, when we landed in a random farm, we had champagne, orange juice and Belgian waffles to reflect on our experience. 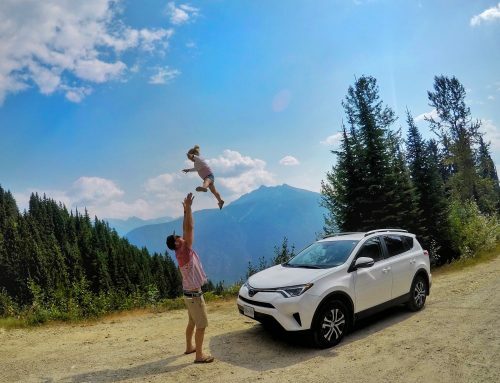 It was one of those travel moments I will never forget. Cycling is a great way to see the city. In our usual adventurous style, we had to take it to the next level by getting a tandem bike for all three of us. Well it was an interesting test of our relationship. Foot timing and balance was everything. Despite our inability to time our peddling, it was super cool to cycle along the canals and see the very pretty windmills. Esmé loved the trip and was happy being out taking in the sights from the back. It cost us 15 euros for two hours which was plenty of time. Many people love the canal boats and although it looked like fun, the queues were long. However if it wasn’t too busy we would have given it a go! Bruges is the perfect size to walk around. Many of the cobbled back streets are so pretty to walk along. If you have small wheels on your buggy, it may be a little more difficult to push it on that type of surface. I spotted at least three playground on my way around the city. 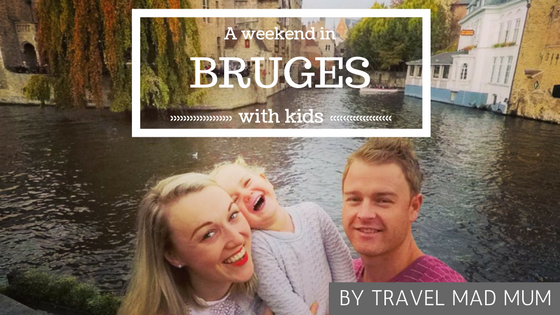 If you are travelling to Bruges with kids, this is a perfect way to burn off some energy from a buzzing toddler. Looking for great tour options in Bruges? Check out the vast array of tours offered by Get Your Guide! 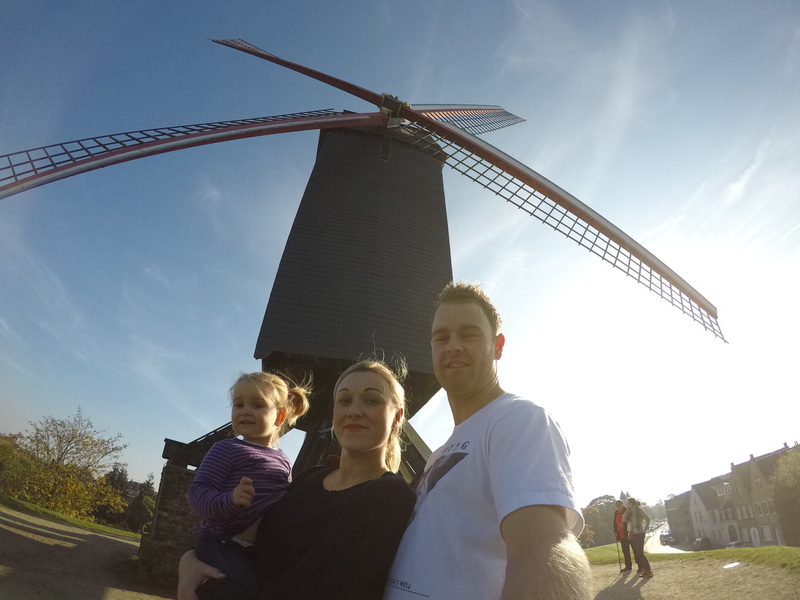 What tips would you add for making the most out of a trip to Bruges for kids? Make sure to tell me how it was or anything I missed! Massive thank you to SuperBreak for having us as their guests. 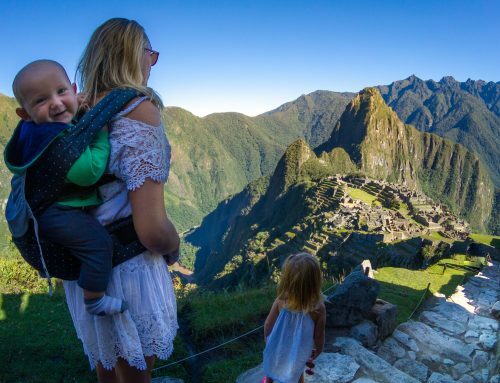 Disclaimer: We were offered this trip on a complementary basis by SuperBreak in exchange for an honest review; however, that has not influenced our opinion in any way, and all thoughts and words above are our own. 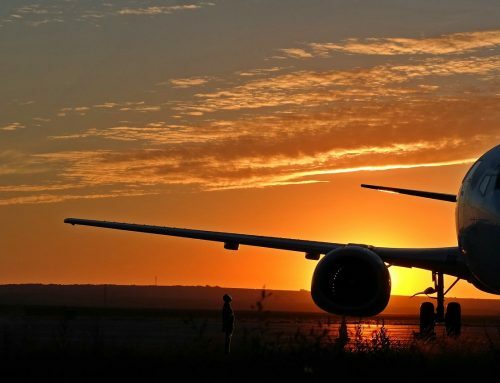 This enables us to continue to travel and provide you with honest, factual travel advice. Where are the playgrounds in Bruges? thank you, are there any closer to the walking area?